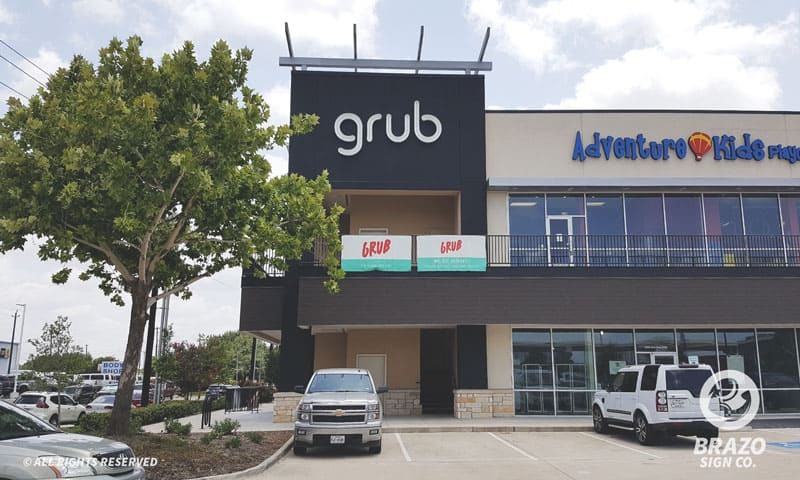 Illuminated Channel Letters - Grub Burger in Houston, TX - Brazo Sign Co.
Illuminated channel letters were installed for Grub in Houston, TX by Brazo Sign Co. Grub wanted their unique look to be consistent with their wall letters. The business sign wasn’t built like a traditional channel letter. Instead of having a plastic face, Grub’s channel letters were built leaving the internal light exposed creating a more free spirited feel. 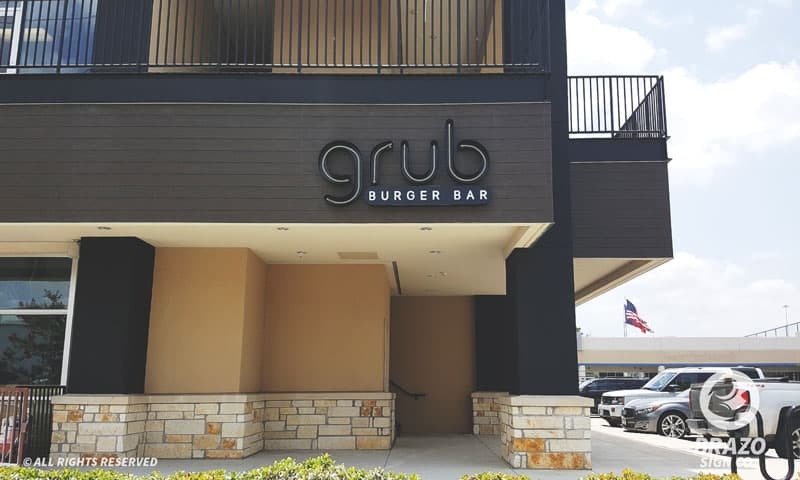 Grub is a burger bar that creates an atmosphere of fun. So the signage was made in respect to that.